Datejusts are kind of a thing here at Theo & Harris, and part of the reason is the sheer range of variations that can be had of them. Take this example, a pretty standard, silver sunray dialed Datejust variation, but pay closer attention to the hands at center. That’s right – rather than the standard stick hands that are usually seen on Datejusts, this example features some impressively patinaed dauphine hands instead. 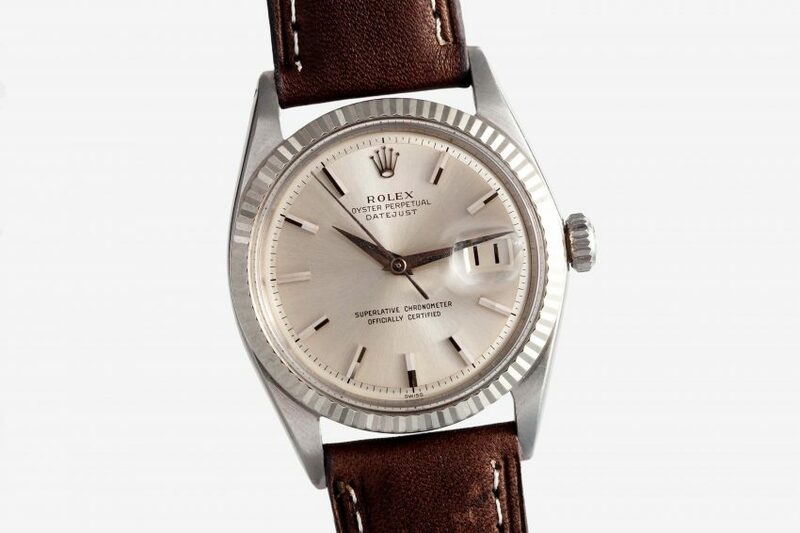 This helps to give the watch an air of formality that is simply not as present on other Datejust models, while still maintaining its versatility thanks to the more muted color of the dial. That’s the thing about most vintage Datejusts – the funk is often super subtle, but super unique once you see it. And of course, it comes complete with a certificate of authenticity and appraisal and is shipped carefully and fully insured via UPS expedited service.